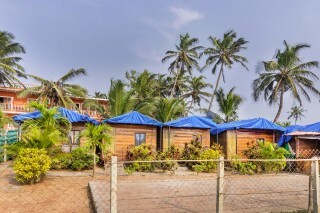 Located on the picturesque Calangute beach, this is an offering of a one-bedroom cottage which can accommodate up to two guests. 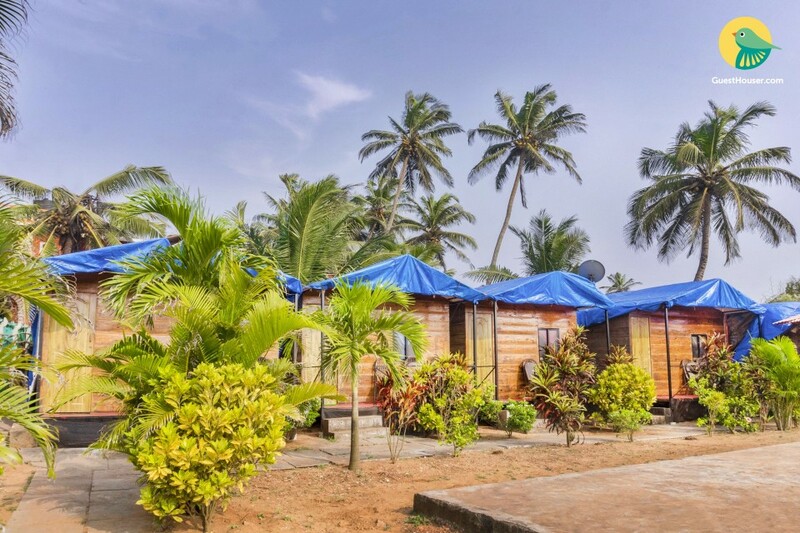 The property boasts towering palm trees and is dotted by green shrubbery, which makes for an ideal getaway for nature lovers. 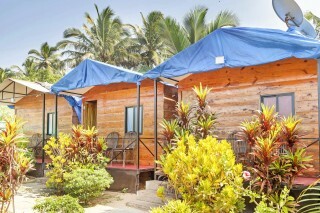 You can choose from two variants of the rooms on offer. 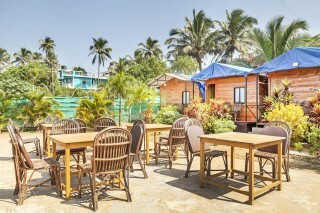 The property features an in-house restaurant and serves complimentary breakfast. 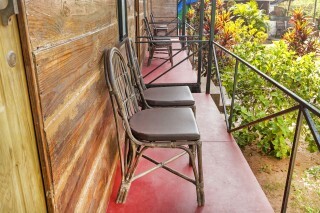 The cottage greets you with a small sit-out, furnished with cushioned- cane chairs where you can lounge with your friends and enjoy the beautiful sunset. 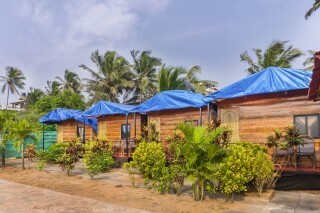 The two variants of rooms on offer are furnished with metal-frame double beds, coffee tables, and cushioned chairs for added comfort. 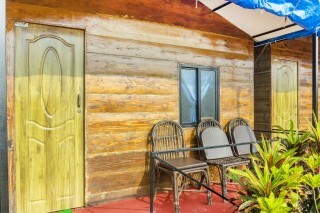 The rooms are equipped with wooden cabinets for storage and televisions to keep guests entertained. The attached bathrooms are tiled and fitted with modern sanitary ware. Travel Assistance is available. Car and bike rental can be provided. Guests are requested to provide valid identification at the time of check-in. Stay for three near Baga Beach.